Solid wood floors are available in myriad species, stains and finishes. 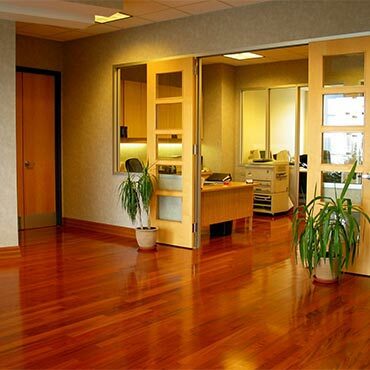 Regardless of width or length, one piece of wood from top to bottom is considered solid wood flooring. These products can be sanded and finished more often than engineered woods, which, because they are much thinner, can be sanded down only two or three times. Because solid wood flooring--which in most cases is nailed down to a 3/4-inch exterior grade plywood--is finished on-site, end users have unlimited possibilities for customizing their floor color. An unfinished fit) or can contain different types of species, which can be used for various elements in the floor. For example, designers can create an oak installation with a dark finish and use a border around the room in a lighter oak finish.